What problems do Hypnotherapists treat? #3: Hypnosis comes from "Black Magic" or is "Supernatural"
#6: Hypnosis is a "Miracle Cure"
#7: Hypnosis is a great tool to get someone to "confess"
~ And many other problems that have not responded to other methods. At Atlanta West Hypnotherapy Clinic, our clients are central to our process and our mission. Our sessions are tailored to meet the needs of each individual and our approach can either be on a one-to-one basis, or through group sessions. Hypnotherapy is a building block to a happier life. Hypnotherapy can be a vehicle for positive life changes. Hypnotherapy can help to build your life the way you want it. I cannot express my appreciation enough to you both for the amazing difference you have made in my son’s life. How fortunate we were that we found ourselves first of all in Atlanta, then from a conversation I had with a friend that his online research found your clinic and between us we convinced my son, “T”, to at least have one session of hypnotherapy with you. That could very well be the best decision “T” has made in his life and I will be forever grateful for his intelligence, your professional therapy and your hand of friendship to my beautiful boy. I knew the morning I met you that I was leaving my son in very good care and I had peace of mind on my long flight home to Australia. None of us expected “T” to experience such a huge shift in energy in such a short space of time. We do realize it isn’t an instant “cure,” but he now knows that there is help of a real and practical nature available to him when he needs to “top up”. I do hope he stays in touch with you long after he “needs” your professional help, as I do believe you may very well have saved his life, definitely his emotional one if not also the physical. Thank you from a mother’s heart. Thank you. 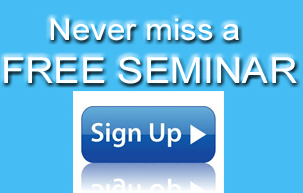 Free Self Hypnosis Seminar January 16th, 2016! Hear a testimony on how Hypnotherapy helped. 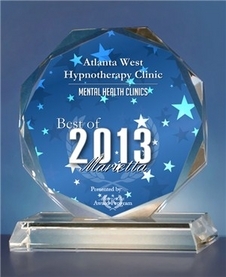 MARIETTA April 24, 2013 -- Atlanta West Hypnotherapy Clinic has been selected for the 2013 Best of Marietta Award in the Mental Health Clinics category by the Marietta Award Program. You Were Motivated to Build Your Career? You Felt Happier and More Positive? You Had Great Communication Skills in Your Relationship and in Business? You could focus, absorb, remember and retain information better. You never procrastinated, made wise decisions, felt more comfortable in groups. 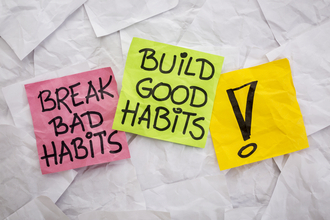 HYPNOTHERAPY CAN HELP You Achieve These Goals and Much More!